Homemade cosmetics have long been a goal of mine. I’ve researched how to make many every day items, with varying results. I’m happy to say that I’ve figured out some great stuff, but not without a bit of trial and error of course! First, I purchased a kit online only to find that the “natural base” had a lot of artificial ingredients. Their idea of “natural” was you combining their unnatural ingredients. So I continued working to perfect my own makeup recipes with ALL natural ingredients. I’ve written articles on natural eyeliner and concealing powder, both of which use a natural base, with herbs or pigments to produce color. Natural blush isn’t much different so let’s take a look. In a small bowl, add the cornstarch, arrowroot, or rice powder. Add a small amount of one of the other coloring powders. Note: Beet root will be more pink, annatto will be more orange, and madder root will be more red to purple. You could also add a small amount of powdered blue malva flowers for a more bluish tone. If you want it a bit darker, add a small amount of charcoal. Be sure to mix well so that you don’t have clumps of pink or black. Keep adding small amounts of color until you reach the right shade. When you get the mixture to the desired color, place it in the jar and keep it tightly sealed. Dip the brush into the mixture slightly and tap off any excess. Apply to hollows or apples of the cheeks, starting at the hairline. The most blusher will be applied to the area touched first, so start on the outside and work inward. You can use powdered pigment instead of herbs if you wish. There are many companies online that sell powdered pigments, but be sure what you get is cosmetic grade. Pigments sold for things such as ceramics should never be used directly on the skin as they can be toxic. Only cosmetic grade pigments, such as those for soap making, should be used on the body. Powdered pigments come in shades such as Bordeaux and Peach and can be easily combined. 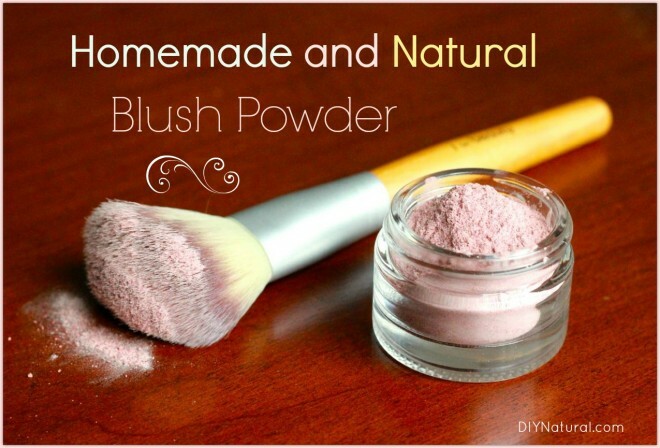 Natural blusher is easy to make. Have you tried it yet? Thank you so much for sharing, Debra!!! Thanks so much Rachel! I love doing these kind of articles! This sounds so simple! I’m wondering if this lasts all day like “regular” cosmetics? Thus sounds great! Do you also make your own loose face powder? I just can’t find a color that’s right for my fair, pinkish skin tone! Yes, Kelly, it does, at least for me. Depending on if you have oily or dry skin, it could be different for you. And yes, Shirley, I do. Look at the article for the concealing powder. It can also be used as a loose face powder. 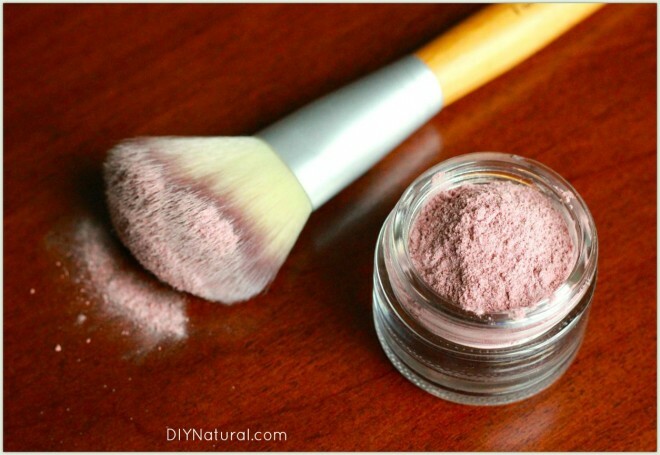 Oxides also make great colorants for blush/bronzer! What are “oxides”, how are they different from the above options, and where do we get them? Thanks for the tip Nova Studio! I can see I was a bit too narrow in my including only plant sources. Oxides do make great colors. They’re really potent and go a long way.